The Cherokee in Steamboat Round the Bend. The CHEROKEE (1912 - 1939) was the smallest of the 5 steamboats that participated in the race for STEAMBOAT ROUND THE BEND. Attached a detail featuring the CHEROKEE from one of the new publicity stills that I received yesterday. * See two more photos of the Cherokee in the steamboat race in Steamboat Round the Bend - click here. The Cherokee in the 1936 movie, General Spanky, recently re-released through the Warner Archive Collection. 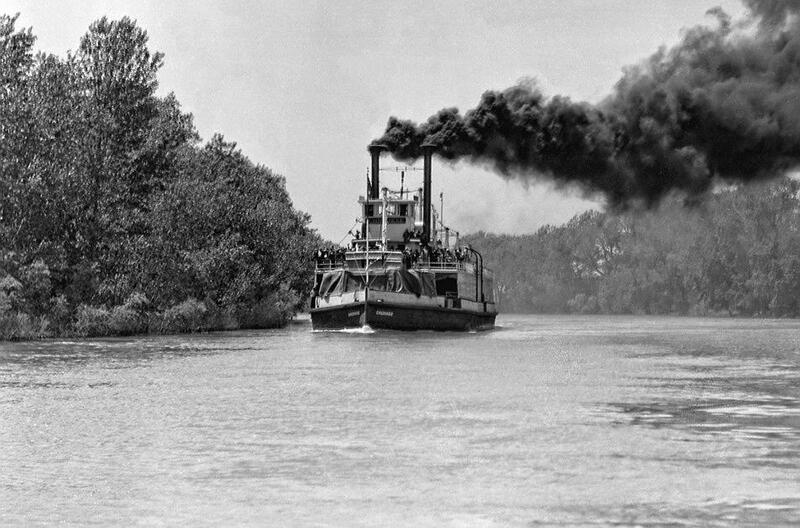 The opening sequence on a steamboat was filmed on the Sacramento River with the steamboat CHEROKEE standing in for a Mississippi River packet of the 1860's. 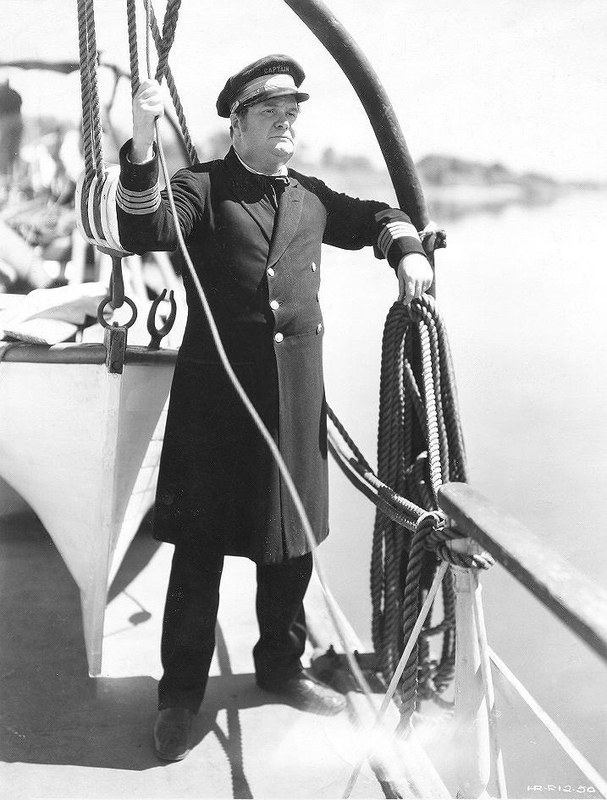 Attached movie still of James Burtis as the steamboat Captain in GENERAL SPANKY, the only feature film ever made that starred the child actors known as "Our Gang" (later known as "The Little Rascals"). Set during the Civil War it was meant to be the Gang's transition from short films to features but it wasn't a huge hit and the Gang made no other feature films after that. Fun to see the familiar child actors playing Spanky, Alfalfa and Buckwheat in a "big movie" but the kids fit more comfortably in the 1930's than they did in the 1860's. James Burtis bears a striking resemblance to actor Eric Stonestreet who plays Cameron "Cam" Tucker on the great TV comedy series MODERN FAMILY. Was fortunate recently to find these photos of the CHEROKEE (1912-1939), the smallest of the Sacramento River steamboats that participated in the ROUND THE BEND race. Surprising how long she looks in the full starboard profile image. 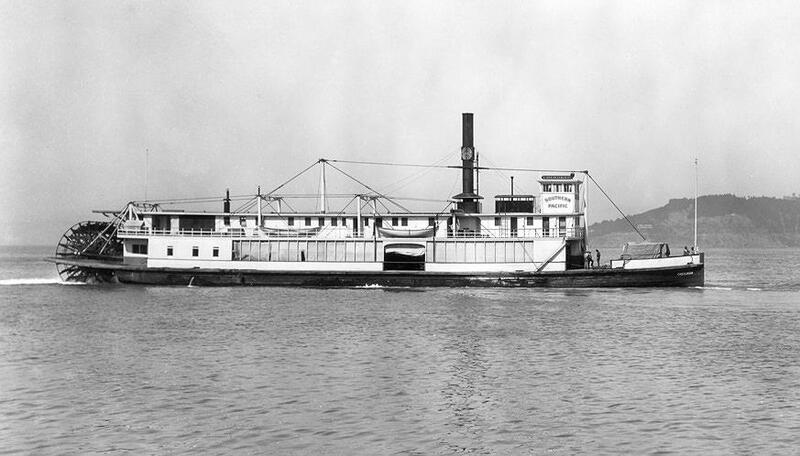 Steamboats are so often foreshortened in three quarter view photographs that they are deceptively compressed and appear to be mush shorter thant they actually are. 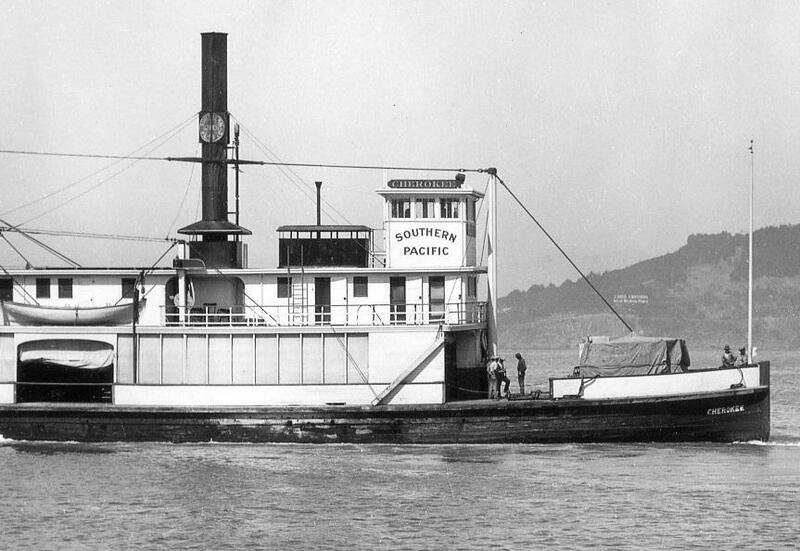 These photos were taken in San Francisco Bay when the CHEROKEE was owned by the Southern Pacific Railroad and had her original single stack style.She was given "twin stacks" to look more like a Mississippi River style steamer for her role ROUND THE BEND 1935. Below are excerpts from the River View Yacht Club's site regarding the CHEROKEE's history as their clubhouse from 1954 to 1967. 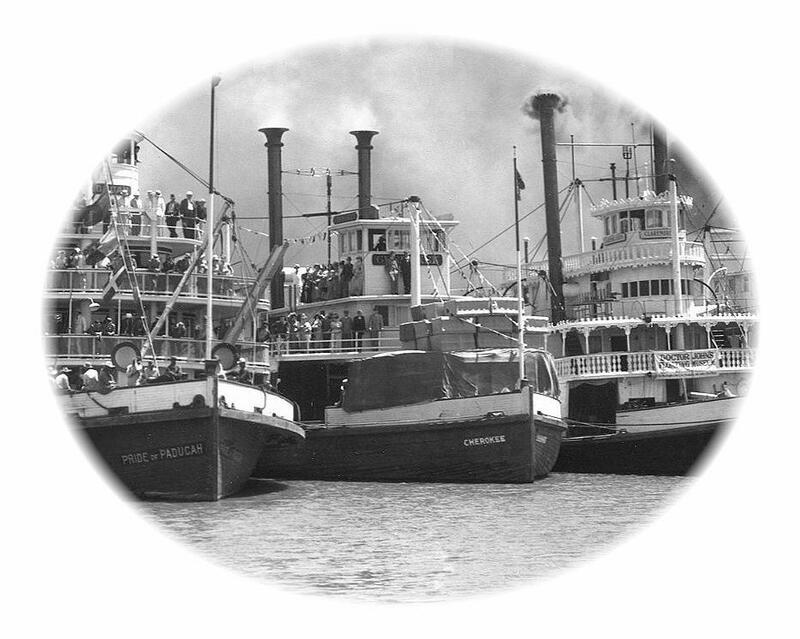 The first "River View Yacht Club" home was the old Sacramento River Steamer the CHEROKEE. The old paddle wheel was built and launched in August 9, 1912 out of the west Oakland shipyard. She was used to carry freight from San Francisco to Sacramento. 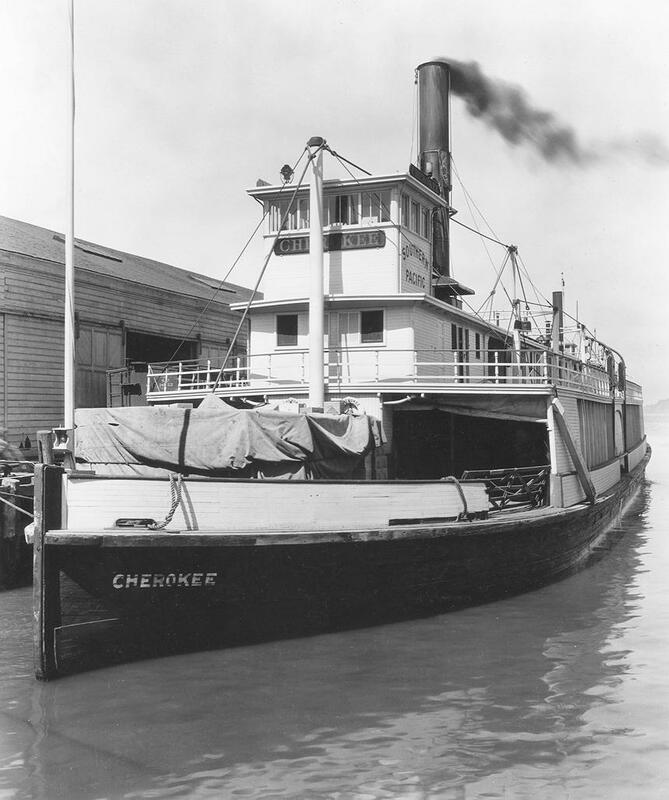 As more modern ships were developed, the CHEROKEE was given to the City of Sacramento then some time later sold to the Sacramento Yacht Club and again sold to private owners. The CHEROKEE changed hands many times before being acquired from the Army and Navy Officers Club in 1954. The winter of 1966 was very hard on the CHEROKEE when massive storms washed the pilings away for the old steamer and her hull was damaged beyond repair. In November of 1967 the CHEROKEE was given toasts during the last cocktail party aboard her and afterwards she was set ablaze by the local fire department. The CHEROKEE is gone, but River View Yacht Club lives on. After the demise of the CHEROKEE, the Club had to meet in several different places from 1967 to 1970. Today the clubhouse is the former Elkhorn Ferry, moored at Holland Riverside Marina on Holland Tract in Brentwood on the Sacramento River.